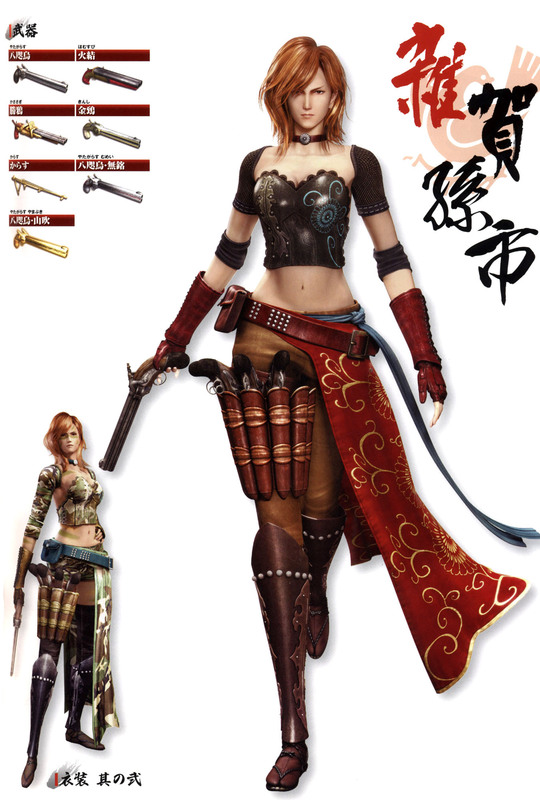 Magoichi Saika is a playable character from the Sengoku Basara games. 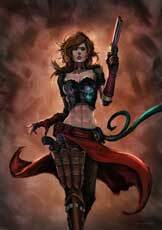 She represents the Saika clan of mercenaries with a high focus on firearms. 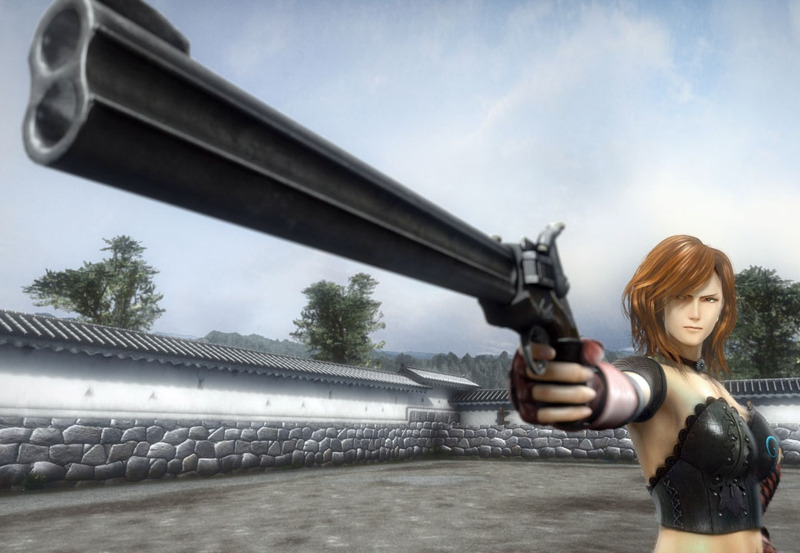 Magoichi debuted in Sengoku Basara 3 (2010) and its upgrade Utage and is an unlockable character in the sequel Sengoku Basara 4 (2014). 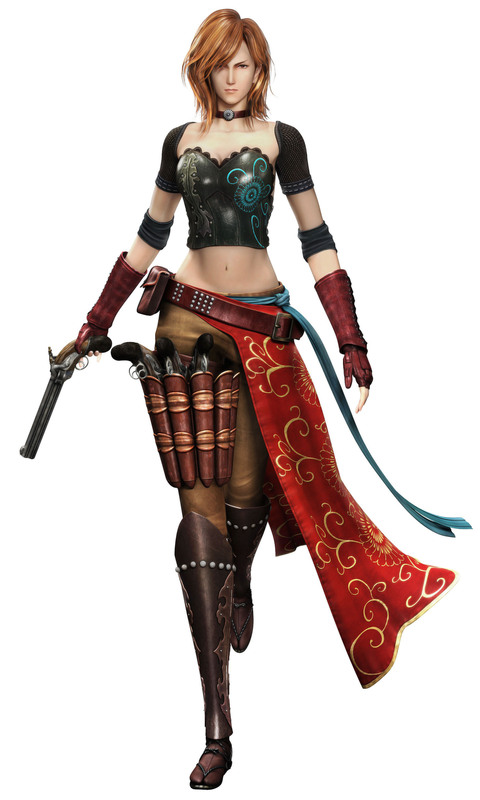 She did not appear outside the Sengoku Basara games so far.